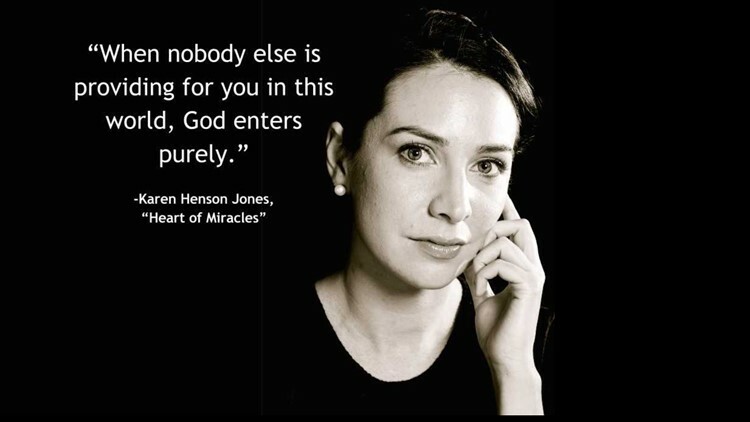 Karen Henson Jones details life after her near-death experience in her book, "Heart of Miracles"
WASHINGTON — The name alone can sound terrifying—alluding to the idea that there is nothing the afflicted can do to remain alive. But not only did Karen Henson Jones survive Sudden Death Syndrome—she lived to write a book about it and now travels the world inspiring others. The year was 2006 and Jones was approaching 30 years old and living a fast-paced life as an executive at a film investment company in London when her life came to a unexpected halt. She was home in Northern Virginia to visit her parents, when she suddenly blacked out. The episode landed her in the hospital and what followed was a series of emergency heart surgeries (one open heart surgery and four related surgeries due to complications with the first). The impact left her incapacitated and near death. She had to quit her job and move back in with her parents, who became her full-time caretakers. But after years of rehabilitation that included physical therapy, intense yoga, sweeping nutritional changes and a spiritual awakening that she details in her book, Heart of Miracles, Jones said she is doing “great” today. “I’m actually almost healthier than most of my friends [now],” said Jones in an interview on Great Day Washington. Jones also said she underwent a spiritual awakening after having a near-death experience in the hospital that left her pleading with God for her life. It was only after experiencing lifelong fainting spells (which were later believed to be caused by cardiac arrest), and coming close to death after her first heart surgery that Jones was diagnosed with a form of Arrythmia Sudden Death Syndrome. If you or anyone you know are experiencing similar health problems, please contact a medical professional immediately or call 911.